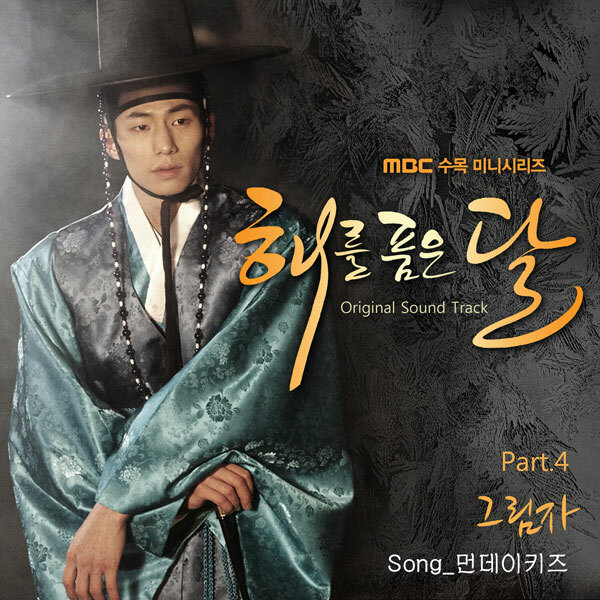 The ultra-popular MBC TV series The Moon Embracing the Sun has released its 4th OST (original sound track) on February 9th, 2012, which is song titled Shadow (그림자). The song of Shadow is sang by Kpop boy group Monday Kiz (먼데이키즈). It’s been composed, written and arranged by Ban Hyung Mun (반형문) and Han Sang Won (한상원). As the cover art is the image of Woon (Song Jae Rim), the song is regarded as the song that describes Woon. Listen to Shadow (그림자) at YouTube.